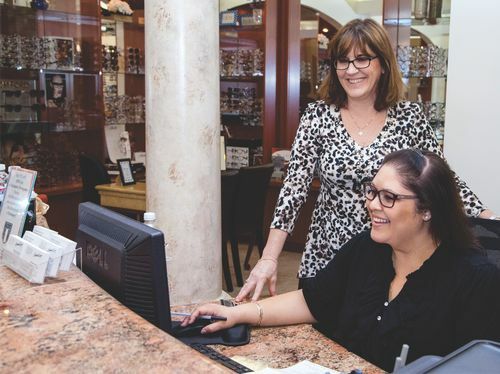 Our Goal is to exceed our customers’ expectation and to give the best eyecare possible. We gladly accept new patients and welcome you to make an appointment to visit with one of our optical staff or just stop by to see our beautiful offices and eyewear collections. Call us to schedule an appointment for an eye exam or consultation. We have three offices to serve you and your busy schedule. When you’re ready to make an appointment, please have your vision plan or eyecare medical insurance information available so that we can tell you how your coverage will support you at StudioEyes. Read more about vision care insurance plans. The reason we schedule appoints over the phone is to ensure that your personal medical history information remains private and protected. We comply with Federal regulations on the protection of your information known as HIPAA. This is also why we ask new patients to bring completed forms to office with you. At your convenience, please print, fill out and bring the Patient Information Form with you on your next office visit.